Never miss a shot again! 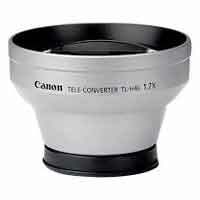 The Canon TLH-46 Telephoto Lens makes those distant scenes closer to you by extending your telephoto capabilities. This accessory lens screws onto the front of the camera's zoom lens.